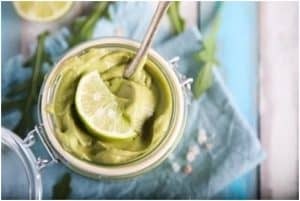 Step 1	Clean the avocados and add them to your blender. Step 2	Then add the ½ lime juice, organic baobab powder, coconut milk yoghurt and olive oil. Step 3	Blend the ingredients together and pour out the guacamole into your jar or bowl.